We recently launched our newest roundup: the Taproot Edmonton Business Roundup. Each week we bring together the latest on the companies, entrepreneurs, employees, investors, leaders, and others shaping Edmonton’s economy. Read the Business Roundup to stay informed on what’s happening in local business. Sign up here to get the Business Roundup delivered to your inbox. We are constantly gathering business-related updates from a variety of sources and each week we distill what we’ve discovered into an email update containing everything you need to know about local business. We save you time and keep you informed, and we add context where appropriate to help make sense of the news. I (Mack) am currently writing the Business Roundup. I have been writing about urban affairs for more than 15 years at mastermaq.ca and have cultivated great information sources during that time. That said, I have my hands full building the engine that makes Taproot go, so we’re looking for a talented curator to help us tackle this beat! Learn more and apply here. We believe that beat reporting is a critical part of the intelligence gathering that we do at Taproot. Paying concerted attention to a local topic that Edmontonains are curious about helps us ensure the stories we produce serve the community. We have covered business in the past with our stories on building an AI industry and the expectations facing 104 Street. Of course, our existing roundups like Tech and Food also cover aspects of business. We’ll publish the Business Roundup for Taproot Members and subscribers first, each Friday morning, with social media shares to follow later. You can see the launch edition here. Let us know what you think! Your feedback will help us improve the roundup and make it even more useful. You can read the Business Roundup for free, because we believe good stories should reach as many people as possible. Taproot Members get it first though, and will have access to the full Business Roundup archive and other benefits. You can join Taproot as a paying member or a free reader here. This week we’re excited to share our newest roundup with you: the Taproot Edmonton Food Roundup. Each week we bring together the latest on the restaurants, chefs, producers, events, and other updates from Edmonton’s food scene. Sign up here to get the Food Roundup delivered to your inbox. We are constantly gathering food-related updates from a variety of sources and each week we distill what we’ve discovered into an email update containing everything you need to know about local food – the cream of the crop! We save you time and keep you informed, and we add context where appropriate to help make sense of the news. Sharon Yeo is curating and writing the Food Roundup. She has been writing Food Notes on her blog for years and will continue doing so. Taproot readers will benefit from her experience and attention to Edmonton’s food scene, and we’ll work together to produce even more great coverage of local food. We believe that beat reporting is a critical part of the intelligence gathering that we do at Taproot. Paying concerted attention to a local topic that Edmontonains are curious about helps us ensure the stories we produce serve the community. On the food beat this effort has already borne fruit as we were first to tell you about the City Market’s impending move away from 104 Street. We’ll publish the Food Roundup for Taproot Members and subscribers first, each Tuesday morning, with social media shares to follow later. You can see the launch edition here. Let us know what you think! Your feedback will help us improve the roundup and make it even more useful. You can read the Food Roundup for free, because we believe good stories should reach as many people as possible. Taproot Members get it first though, and will have access to the full Food Roundup archive and other benefits. You can join Taproot as a paying member or a free reader here. Every Tuesday morning we publish the Tech Roundup, a newsletter full of the latest headlines & happenings in Edmonton’s technology community. In addition to the curated, easy-to-scan lists of news and events, each edition includes one or two featured items which are the updates highlighted below. Sign up here to get the Tech Roundup by email each week. Here’s our look back at the month of January 2019 as captured by our Tech Roundups. BioWare co-founders Dr. Ray Muzyka and Dr. Greg Zeschuk were the only Edmontonians among 103 new appointments to the Order of Canada in December. The two co-founders were named Members of the Order of Canada for their "revolutionary contributions to the video game industry" and as developers and co-founders "of an internationally renowned studio." In this edition we also highlighted the selection of the founding members of the Edmonton Advisory Council on Startups (EACOS), the refinancing and shareholder consolidation announced by Yardstick Software, and an Alberta Venture feature on Testfire Labs. The Alberta AI Business Plan, developed by a steering committee made up of local investors, entrepreneurs, service providers, and academics, was released outlining a vision to make AI "a billion dollar industry in the province by 2025." A funding ask was submitted to the Government of Alberta to "kickstart the accelerator and pre-seed funding". In this edition we also highlighted Amii’s announcement that it will host the Deep Learning & Reinforcement Learning Summer School this year, the selection of Testfire Labs as a finalist in the AI category for SXSW Pitch, and a development from the University of Alberta that could make a new generation of lithium ion batteries with 10 times the charge capacity of current batteries. 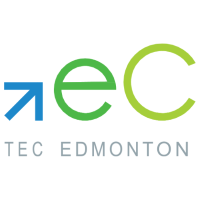 After nearly ten years with the organization, Chris Lumb has decided to step down as CEO of TEC Edmonton, effective June 30, 2019. “With outstanding staff and management, a strong culture and excellent client outcomes, TEC will continue to do outstanding work helping to grow emerging technology companies in the community,” he said. In this edition we also highlighted Arden Tse’s move from the Venture Mentoring Service to Yaletown Partners’ Accelerate II fund, the news that Rising Tide’s Ashif Mawji was inducted into the 2019 Alberta Business Hall of Fame, and that Testfire Labs and AltaML were added to the Government of Canada’s list of qualified suppliers for artificial intelligence. University of Alberta spin-off company Applied Quantum Materials was one of 29 successful projects in the Climate Change Innovation Technology Framework (CCITF) – Clean Technology Development program, receiving a $420,000 grant from Alberta Innovates to use nanomaterials to turn windows into see-through solar panels. In this edition we also highlighted F12.net’s acquisition of BC-based Level4 Technologies, the City of Edmonton’s new online system for managing recreation program and facility bookings, and comments from UCP leader Jason Kenney on cryptocurrency. That’s a wrap on January! Sign up here to get the Tech Roundup by email every Tuesday morning. 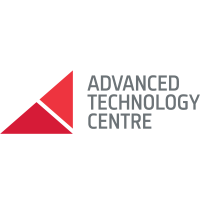 Thank you to our Tech Roundup sponsors: Advanced Technology Centre, Amii, EEDC, Startup Edmonton, Stormboard, TEC Edmonton, Jobber, Testfire Labs, VMS, Instamek, and CompuVision. Here’s our look back at the month of November 2018 as captured by our Tech Roundups. The City of Edmonton’s electric autonomous vehicle pilot project, featuring a shuttle known as ELA (for Electric Autonomous), wrapped up at the beginning of the month. The ELA vehicle was a 12-person shuttle manufactured by EasyMile called the EZ10. It operated at low speeds (less than 12 km/h) and featured a battery that could last up to 16 hours. In this edition we also highlighted the new Dev Edmonton Society, Athabasca University’s use of AWS, and that Extra Life Edmonton raised $69,303 for charity. For the third year in a row, the City of Edmonton has been named the "Most Open City" by Public Sector Digest at the Canadian Open Data Summit. Wendy Gnenz, Chief Information Officer at the City of Edmonton, won the Canadian Open Data Leader of the Year Award. We also highlighted the launch of WAV Capital, new research from the U of A to build quantum memory, and a feature on former City Councillor Kim Krushell who has launched Bar-Tech. The Government of Canada is investing $2.5 million in the University of Alberta to establish an Artificial Intelligence-Supercomputing Hub for Academic and Industry Collaboration ("the AI-Hub") "equipped with high performance computers capable of processing vast amounts of raw data in hours instead of days." The AI-Hub is expected to open in Spring 2019. In this edition we also highlighted an interview with Jonathan Schaeffer about AI and Edmonton, a photo feature on NAIT’s new Productivity & Innovation Centre, and the news that Edmonton was shut out of the inaugural Start Alberta awards. Edmonton-based DevFacto Technologies, instaMek Solutions Inc., Intelligent Imaging Systems, and Lumican Corporation have received a combined $3.2 million to "help move their new and innovative technologies from the later stages of research and development to the marketplace." The funding comes through the five-year Western Innovation (WINN) Initiative. 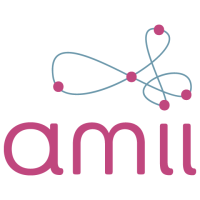 We also highlighted an interview with Amii’s new CEO John Shillington, a recap of DemoCamp Edmonton 43, and that Myrna Bittner and Ashley Janssen were accepted into the fall cohort of Connection Silicon Valley’s Canadian Women’s Network. That’s a wrap on November! Sign up here to get the Tech Roundup by email every Tuesday morning. And in case you missed it, here’s our review of October 2018. Here’s our look back at the month of October 2018 as captured by our Tech Roundups. We began the month noting that EEDC had signed a conditional lease to test its Innovation Hub concept at the former Enbridge building on 103 Street downtown. "Should the Innovation Hub go ahead, Startup Edmonton would move out of the Mercer Warehouse to be the primary tenant in the space." We also highlighted NAIT’s new entrepreneur-in-residence program for students. This edition featured a preview of Edmonton Startup Week, including a Q&A with Startup Edmonton CEO Tiffany Linke-Boyko. "One of the major goals of this week is to create different opportunities for Edmontonians that don’t know anything about the startup community to experience it," she said. We also highlighted the lineup for Launch Party 9. October 16 – EEDC leased it, but will they come? Startup Week kicked off with a big discussion on innovation at City Council’s Executive Committee and a new story from Taproot focused on EEDC’s proposed Innovation Hub and what it could mean for Edmonton’s startup community. We also highlighted the announcement that Edmonton will host the 2019 SingularityU Canada Summit on April 23-24. We started this edition with a recap of Startup Week, which saw more than 50 events focused on innovation, technology, and entrepreneurship take place throughout the city. The flagship event, Launch Party, highlighted ten local companies on the rise. The conversation about the proposed innovation hub continued, with a new episode of Speaking Municipally focused on the project and our story about it. City Council picked up the innovation discussion and decided to ask EEDC to pause plans for the Innovation Hub. They wanted to see alternatives and ensure more public engagement was conducted. This edition also highlighted the grand opening of TEC Centre Labs, home to the Merck Invention Accelerator and the University of Alberta Health Accelerator. The October 31 edition of the Health Innovation Roundup provided more information on the new accelerators. That’s a wrap on October! Sign up here to get the Tech Roundup by email every Tuesday morning. And in case you missed it, here’s our review of September 2018. September was an exciting month for us as we added our first sponsors to the Tech Roundup! Their support enables us to chronicle Edmonton’s tech sector each week. We also launched a new roundup focused on Health Innovation. Here’s our look back at the month of September 2018 as captured by our Tech Roundups. NAIT’s newest facility is the $83.4 million Productivity and Innovation Centre (PIC). The building houses manufacturing labs, acceleration spaces, and a hub for applied research activity and is described as one of North America’s largest innovation spaces. This edition also featured a bunch of AI-related news, such as Folio’s feature on machine learning and research. People were also talking about an Edmonton Journal article that suggested the improvement in downtown’s office vacancy rate is the result of tech companies. The University of Alberta is adding 25 additional students to its computing science after-degree program thanks to new provincial funding as part of the Growth and Diversification Act. We also highlighted a video feature on Frettable, which uses AI to provide transcriptions for instruments and songs. Testfire Labs officially launched its flagship product, Hendrix.ai. The product aims to improve meetings by providing automatically transcribed summaries and action items alongside other insights about users’ meeting history. Also making headlines at the end of the month was the announcement that former BioWare GM Aaryn Flynn will lead the Edmonton office of UK games tech startup Improbable. We also linked to the recap of DemoCamp Edmonton 42. That’s a wrap on September! Sign up here to get the Tech Roundup by email every Tuesday morning. And in case you missed it, here’s our review of August 2018. Today, we’re excited to share our newest roundup with you: the Health Innovation Roundup, sponsored by Health City. Each week we bring together the latest headlines & happenings in Edmonton’s health innovation sector. You’ll get the latest on the research, technology, companies, and people changing healthcare for the better in Edmonton. Sign up here to get the Health Innovation Roundup delivered to your inbox. As with our other roundups, the goal of the Health Innovation Roundup is to save you time, keep you informed, and satisfy your curiosity. We sift through all of the information that’s constantly being shared to determine which is important and worthy of your time. Then we add some context to help you make sense of it all. Edmonton is rich with all the ingredients necessary for a thriving health innovation sector. Our city is home to Alberta Health Services (AHS), the largest fully-integrated health system in Canada, a rich source of health-related data. Edmonton is also home to the Alberta Machine Intelligence Institute (Amii), a world-leader in the science of machine learning and artificial intelligence. The opportunity before Edmonton, to combine health data with artificial intelligence algorithms to develop solutions that improve health outcomes, reduce costs, and increase economic activity, is unrivaled. According to Health City, Edmonton is already home to more than 50% of Alberta’s life sciences companies, and organizations like Startup Edmonton and TEC Edmonton are working to help new entrepreneurs turn their ideas into thriving, scalable companies that can compete on the global stage. With increased attention from political leaders, new investment from both public and private sources, and greater supports for innovators at all stages, activity in Edmonton’s health innovation sector is sure to accelerate. The Health Innovation Roundup will chronicle Edmonton’s health innovation sector, to amplify the efforts already underway, help attract new interest to the sector, and keep everyone informed about the latest developments. We’re thrilled to have Catherine Griwkowsky on board to curate and write the Health Innovation Roundup. She is an Edmonton-based journalist with a decade of experience. Her work has appeared in the Edmonton Sun, Edmonton Journal and StarMetro Edmonton. You’ll benefit each week from her experience and keen interest in health. We’ll publish the Health Innovation Roundup for Taproot Members and subscribers first, each Wednesday morning, with social media shares to follow later. You’ll also be able to find highlights from each edition on Health City’s website. Health City is “a cluster-led economic development organization that leverages Edmonton’s tremendous health assets to create a fast, competitive and lucrative health innovation ecosystem.” They act as a central connection point for the sector, and we’re very grateful for their support in making the Health Innovation Roundup possible. You can read more about their support here. If you’d like to join Health City in sponsoring the Health Innovation Roundup, we’d love to hear from you! Here is the latest edition of the Health Innovation Roundup. Let us know what you think! Your feedback will help us improve the roundup and make it even more useful. If you have a suggestion for something we should include in a future edition, send it along and we’ll consider it. Here’s how to get in touch with us. You can read the Health Innovation Roundup for free, because we believe good stories should reach as many people as possible. Taproot Members get it first though, and will have access to the full Health Innovation Roundup archive and other benefits. You can join Taproot as a paying member or a free subscriber here. Today we’re excited to welcome our first sponsors to the Tech Roundup! 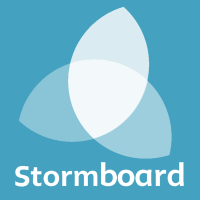 Thank you to the Advanced Technology Centre, Alberta Machine Intelligence Institute (Amii), Edmonton Economic Development Corporation (EEDC), Startup Edmonton, Stormboard, and TEC Edmonton for supporting the work we’re doing to chronicle Edmonton’s technology community. We launched the Tech Roundup in early June with the goal of creating an informative, interesting, and timely resource to highlight the latest headlines and happenings in the tech community. The feedback we’ve been receiving is encouraging, and suggests we’re on the right track. Readers have told us they are happy to have a single place to look at for the latest news. And they have told us that before the Tech Roundup, they didn’t realize just how much activity there was week-to-week. It’s a positive start and we’re excited to build on that. The Tech Roundup is free for everyone to read. You can get it by email or you can click through from our social media updates each week. Taproot Members receive the Tech Roundup first and have unlimited access to all of our roundups – learn more here. Our sponsors are contributing to the sustainability of Tech Roundup. Editorial independence is important to us and to these sponsors; they have no say over what we put in the Tech Roundup, and we won’t let their sponsorship alter our decisions about what we round up and how. If you’re interested in joining them as a sponsor of the Tech Roundup, we’d love to hear from you! We currently offer two levels of sponsorship: Cultivators ($100/month, billed annually) and Pollinators ($50/month). Have a look at our sponsorship page for more information and please reach out via email. We look forward to working with you! The cooler temperatures are unmistakable: fall is arriving. It won’t be long before the river valley is beautifully yellow, orange, and red! But before we say goodbye to summer, here’s our look back at the month of August 2018 as captured by our Tech Roundups. We began the month with a recap of the second YEG AI Hub workshop that aims to make Edmonton one of the top 5 centres for artificial intelligence (AI) in the world. The goal of the draft business plan is to attract $150 million of investment to accelerate efforts already underway, and to undertake new activities in support of the vision. With the Fringe festival approaching we highlighted the work Kory Mathewson has been doing on artificial intelligence and improv theatre. He performed in a couple of shows this year, including HumanMachine. We also noted that EEDC selected Derek Hudson as its new CEO. He touched on the importance of the tech sector in an interview with Global Edmonton. 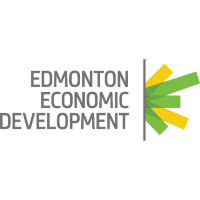 We shared the details on EEDC’s proposal for an Innovation Hub downtown. Aiming to grow the “innovation ecosystem” in Edmonton, the new building would act as an entry-point for entrepreneurs and investors. It comes at a cost though: Startup Edmonton would move out of the Mercer Warehouse and into the new building. We also wrote about the new Talent Advisory Council on Technology, setup by the provincial government as part of the implementation of the Growth and Diversification Act. 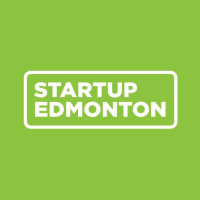 Edmonton has been selected as the first Canadian partner to join Startup in Residence (STiR), which is “a 16-week program that brings together government agencies and startups to co-create technology solutions for civic challenges.” Startups can register their interest in participating now, with the first challenges to be issued on September 25. The Innovation Hub proposal was far and away the most popular item this month, along with the supporting EEDC report and Startup Edmonton survey. EXGEN4564 is a new Faculty of Extension course called Demystifying Artificial Intelligence. Taught by Anna Koop, the course starts September 19. Testfire Labs shared a list of 10 AI assistants that wil free you from “work about work” on the Hendrix.ai blog. An article in aitrends highlighted Edmonton as home to reinforcement learning. The Challenger City website has more on the vision of Edmonton as a global hub for AI and machine learning. That’s a wrap on August! Sign up here to get the Tech Roundup by email every Tuesday morning. And in case you missed it, here’s our review of July 2018. The 2018 Edmonton International Fringe Theatre Festival, known as Fringe ‘O’ Saurus Rex, took place August 16-26 and featured more than 1600 live theatre performances across 38 venues. It was another record-setting year with more than 817,000 visits to the festival grounds (up 9,000 from 2017), 133,276 tickets sold generating $1.46 million in box office revenue (up 10% from 2017), and 419 sell out performances. Once again, Taproot published a daily Fringe Roundup during the festival, written this year by Mel Priestley. In addition to highlighting the reviews and headlines as they came in, Mel featured a different Fringe topic in each edition. She also made use of the festival’s Randomizer button to select a new show to review each day. August 16 – The Fringe has begun! The festival kicked off with the opening ceremonies at 7pm at the ATB Financial Outdoor Stage. The ceremonies were be hosted by Fringe Theatre artistic director Murray Utas and artistic associate Hunter Cardinal, and featured 20 Fringe artists and taiko drum group Booming Tree. August 25 – How much does it cost to do a Fringe show? Every year, the Fringe selects a half dozen shows for its Holdover Series and gives them an extended run for another few days after the end of the festival. This year’s holdovers run from Wednesday, August 29 to Saturday, September 1. Mel’s final review was of Eddie Poe. “Even if you haven’t read a word of Poe, there’s a lot to like about Eddie Poe,” she wrote. That’s a wrap on the Fringe Roundup for 2018. Thanks for reading along. Enjoy the holdovers!